Perhaps I need bigger stickers? So I have two identical computers: one that is my personal laptop, and my work laptop that was issued to me by my school. 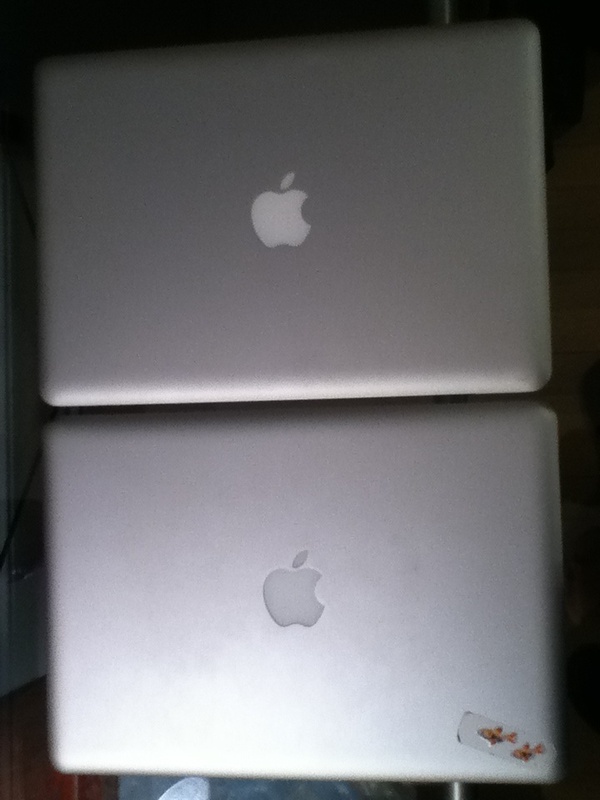 In order to tell them apart I have put fish stickers on one corner of my “school” laptop. Creative, I know. But sometimes even this level of creativity does not save me from a case of mistaken identity, and last Thursday was one of these days: I grabbed a laptop off the desk and went to work only to find that I had my personal laptop with me and the school day was about to start. Dropbox is free, secure online storage for all your files. I save all my school stuff (Powerpoint, exams, lesson plans) to Dropbox rather than my hard drive. This is a wonderful thing because it means that, no matter where I am I have access to all my teaching resources. On the day I forgot my work computer at home I logged into Dropbox with one click from my home computer and was able to access a full day of teaching. This entry was posted in Media, Teaching, Writing. Bookmark the permalink. Dropbox is the best! Also great for writers because it means you can work on your manuscript (and keep it backed up) no matter where you are. Agreed! A lifesaver for any itinerant writer.